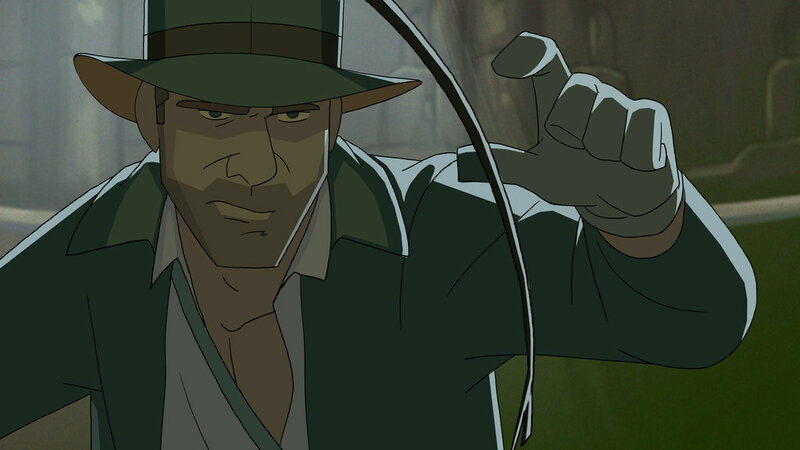 Patrick Schoenmaker just released a new short “The Adventures of Indiana Jones” and it is great! We have been following Patrick’s page with all the concept art and publicity stills and he definitely built up a big following. We got in contact with Patrick and asked a few questions for his fans! Q.) Why create a Indiana Jones short? Patrick’s Answer: Basically, I just fell in the love with the movies when I saw them as a kid. The Indiana Jones movies are just the kind of movies that can completely captivate you and forever change you, there’s something really powerful in these films. When Kingdom of the Crystal Skull was announced, I was ecstatic with the idea of finally seeing my all time movie hero again on the big screen. There was a 19 year gap between Last Crusade and Crystal Skull and after the movie premiered, I just wasn’t ready to say goodbye to the character again for another 19 years. And since there were no new movies announced, I just decided to turn my love for the character into a fun side project. I had been doing some animated style licensed illustrations for LucasFilm through Acme Archives, so subconsciously I guess I had already made the first steps. Initially I wanted to focus mainly on getting the designs right and go for a sort of limited animation, but that just didn’t really gel well with the style. So the animation got more and more elaborate as the project took shape. Q.) How long did it take you from start to finish? Patrick’s Answer: I started the project over 5 years ago, but being a freelance artist, I couldn’t afford working full time on it. In the beginning I worked on it mostly between freelance jobs, but it didn’t really go fast enough, plus I was just having too much fun, so I stopped taking jobs from time to time to work on it for a couple of weeks in a row. All in all I think about 8 to 9 months of work went into the project. Q.) What processes did you use? Patrick’s Answer: I wanted to go fully hand drawn as much as possible, or at least I wanted it to have a hand drawn feel. Most of the scenes were animated in TvPaint and composited in After Effects. But I’ve also used Moho a lot, from doing pre-vis to animating side characters and elements. There are a couple of scenes with big camera movements and those scenes were just impossible to do in TvPaint, so I had to learn ToonBoom Harmony in order to get them done. The whole project proved to be a great contribution in my personal development as an artist. You could wonder why you would invest so much time in a project based on someone else’s property. For one, it was just one of the most fun projects I’ve ever done. But also, the bar is already set for you, so you can’t cheat yourself out of it. You’re forced to learn new things and study. To make the project succeed, you have to reach a certain standard, because everybody knows the material you’re referring to. 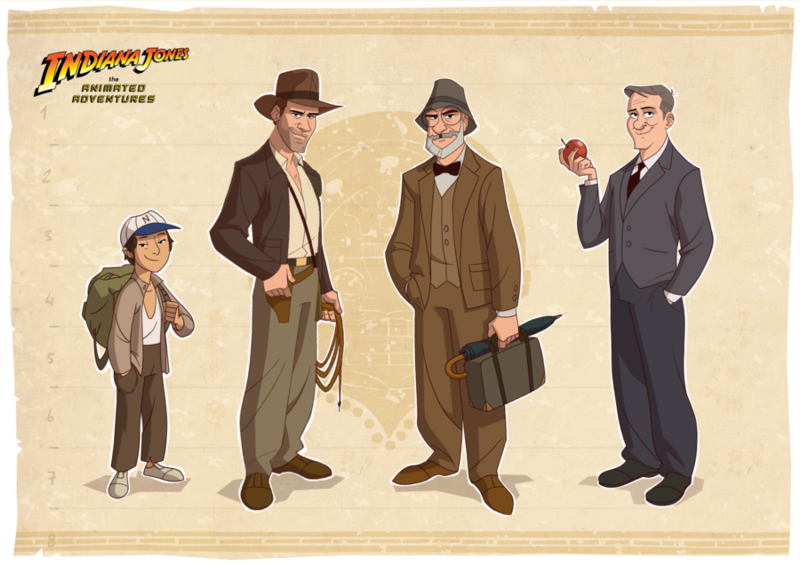 I thought it was a very fun journey, trying to figure out a style that hopefully pleases the fans of the films and translating the feeling of the Indiana Jones universe to animation. Q.) 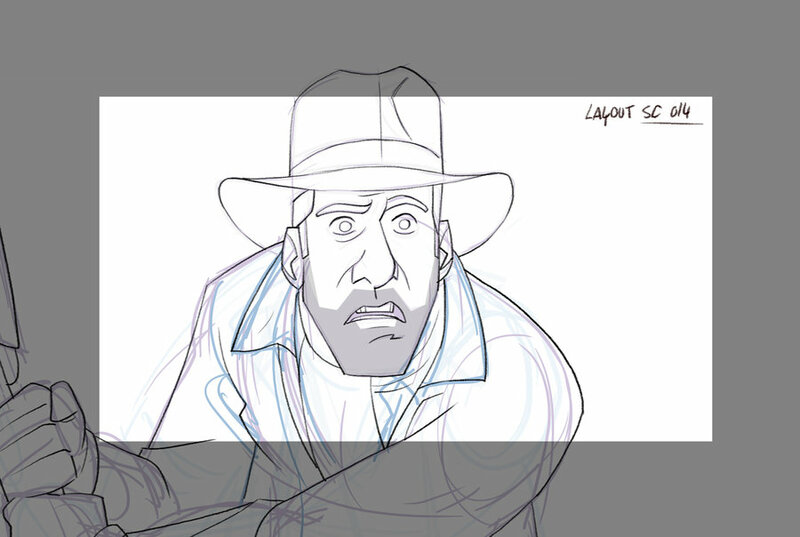 Do you plan to make more Indiana Jones shorts? Patrick’s Answer: As much as I would love to, I’m afraid this is it for now. Doing these things in your spare time is just really hard and my life has changed as well over the past couple of years. Two years ago, our son was born and I like to step out of the shadowy realms of my studio and into the daylight from time to time, play some ball with my family. Q.) Tell us little about you and your influences in animation. Patrick’s Answer: I’ve loved animation for as long as I can remember. My first experience at the cinema was actually going to a re-release of Snow White and the Seven Dwarfs when I was three years old. But somehow, it took me a long time to realize I wanted to make animated films for a living. I always figured that you become a comic artist if you like drawing funny characters. Probably because there wasn’t an animation industry in the Netherlands, while we did have some famous comic artists. Through the years, I’ve had many artistic influences. I grew up watching Disney films of course, but I also loved reading Asterix, Lucky Luke, books like that. When I grew older I discovered Mike Mignola, Ralph Bakshi, and J. Scott Campbell. As a kid I was always drawn to the darker animated features, like the Rescuers, the Black Cauldron, Land Before Time, Secret of N.I.M.H. I later discovered that many of those were actually done by Don Bluth and his studio. I really love some of Bluth’s films (and I hope he get’s his Dragon’s Lair film made). Last, I have to mention the Batman animated series from Bruce Timm. I don’t think there have been many translations from an established franchise into animation that were handled as well as the Batman Animated series. 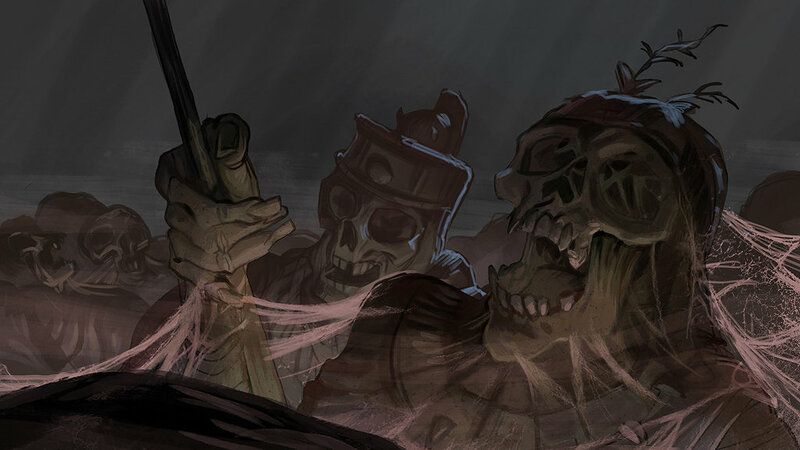 If you want to see more concept art check out Patrick’s blog. What Is Your Favorite Cartoon Theme Song Of All Time? Marion looks like Princess Anna. 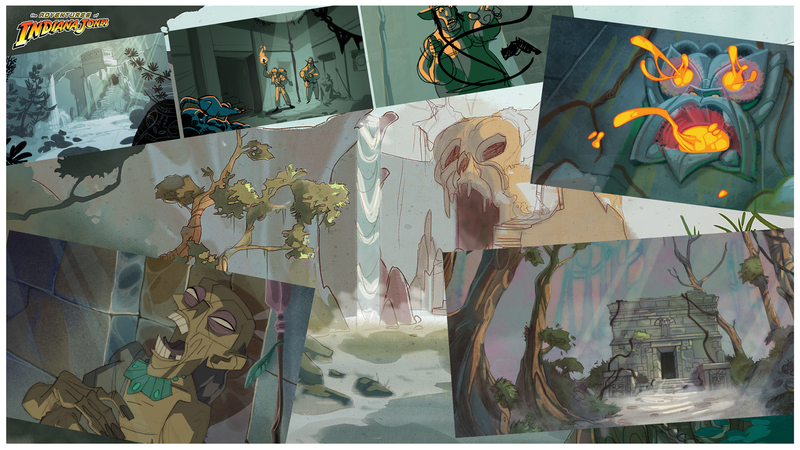 It has so cool concept art, model sheets,… It’s just awesome! Make the show! Looks awesome. Awesome! Captured the Indy spirit! Lutek <3 <3 <3 ! Id watch this 100 times over than geriatric Ford doing another one! Brilliant! Was expeciting something longer? Either way, i liked it. reminds me of the Iron Giant animation. Paul this looks so cool! Amazing work! Well done, sir! Well done Sir, well done. Thanks Tom – I love that Karen Allen design in the still. Why do they always have to make the character design look like a Disney movie ?….. The animation is very good- Patrick has done an excellent job with the designs, backgrounds, illustrations, effects, etc. The first animated Indiana Jones short is just a start- a few more can get Lucasfilm’s attention and wake up the Disney big wigs. Patrick has worked, very hard on this and it’s high time for all of his hard work to come into fruition with a TV series deal for the animated Indiana Jones. 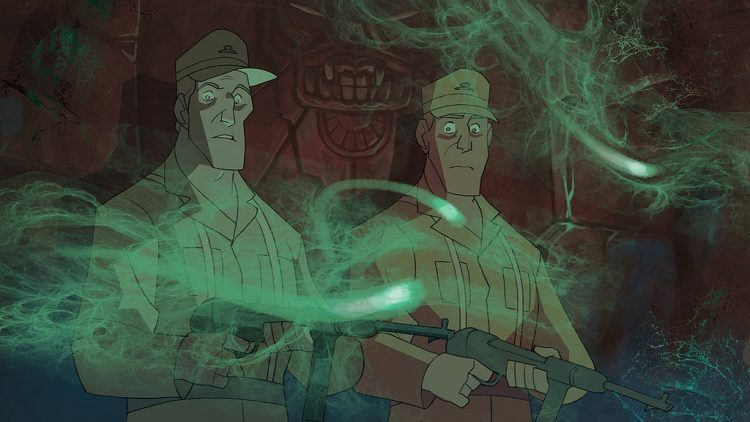 Hell, if we, as fans, have to keep badgering Disney to get Patrick Schoenmaker employment as an animator, so be it- this animated short of Indy needs to pay off for him and we, as fans, aren’t going to allow his efforts to go to waste.